Mrs. Shirley Ann (Gill) O’Dell Applegate, 80, of Clay City, Illinois, died at 12:25 a.m., Wednesday, April 11, 2018 at the Flora Healthcare Center. Shirley was born on May 26, 1937 to Roy E. Gill and Ethel Gill. Throughout the years she worked at Amerman Insurance Company and also at Bangert Casing & Pulling Company in Clay City, Illinois. She later worked at Booth Resources and also at North Wayne Insurance in Flora, Illinois until she could no longer work. 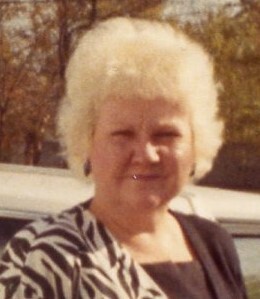 Shirley is survived by her children, Steven D. O’Dell of Clay City, IL, Douglas W. O’ Dell of Clay City, IL, Pamela A. (Chuck) Young of Clay City, IL, her grandchildren, Jennifer Anderson of Flora, IL, Heather (Caleb) Middleton of Kinmundy, IL, and by her five great grandchildren Brooke Anderson, Alyssa Anderson, Shelby Middleton, Brooke Middleton and Briar Middleton. She was preceded in death by her parents, her stepfather, Lawrence Miller, her husband, Larry Applegate and by her brothers, Ronald E. Gill, Rex Gill and William Gill. A memorial service will be held at 10:30 a.m., on Monday April 16, 2018, at Zif Cemetery in Clay City, Illinois. Interment will immediately follow the service. Expressions of sympathy should take the form of donations to Zif Cemetery or to the Activity Fund at Flora Rehabilitation & Health Care Center. Online condolences may be expressed at www.kohnfuneralhome.com.